Hello! 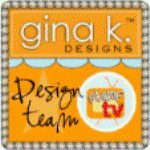 I am back again with the Cast and Crew for Gina K Designs. 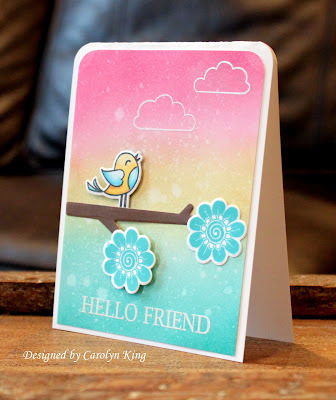 Welcome to another fabulous blog hop celebrating the new StampTV Kit! We hope to inspire you with some beautiful card projects as you hop along to each of the designer’s blogs! Today, we are featuring the first stamp set called Happy Spring. 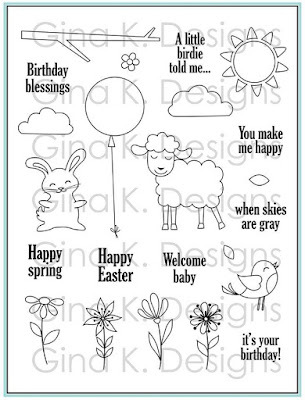 These stamps are so cute and perfect for spring! 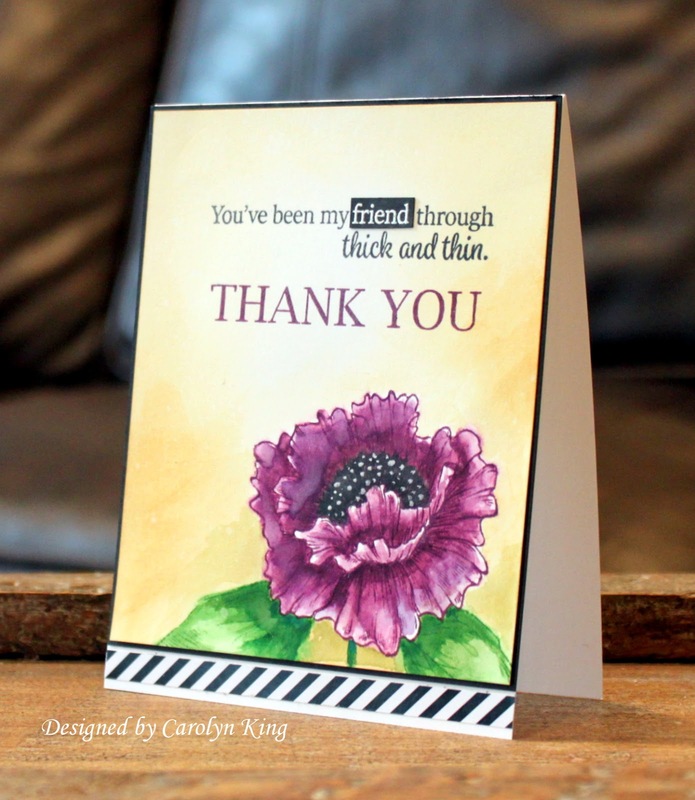 We are also showcasing the incentive set available this month called Through Thick and Thin. You will be able to create amazing card projects using these beautiful stamp sets! Enjoy the gorgeous inspiration samples from the team and then comment on each blog for your chance to win a $20 Gina K Designs gift certificate! To see who won, check the Big News Forum at StampTV a few days after the hop. Ready for some inspiration? You are such an amazing designer! Love everything about these, but the little bird card is my fave! Him singing in that scene with that sky is just magical, want to go make that right now!! Your sponging is beautiful. Very nice samples, Cammie! very pretty cards - love your blending. Very nice. Beautiful background colors! Precious designs! That flower is glorious! Love your little lamb. That last card is just stunning!!!! Love these cards. So cute. Love your cards. I think the last one is my favorite. Thanks for sharing and inspiring. Love your cards. The last one is my favorite also. Love that beautiful flower and your fabulous coloring. Gorgeous cards. the middle one is so precious and springy. Love this one the best. All great ideas, can't wait to make them. Great backgrounds and coloring on all of your cards. Fabulous cards and sponging. Love the ideas thank you. Your incentive stamp is so perfect. Thanks for he inspiration. Great cards. I love how you colored the bold flower. Oh wow these are gorgeous!! Great cards! the little critters are so cute! WOW! Beautiful inking and coloring! All three are awesome! Wow! You knocked my socks off with these, just Gorgeous! I LOVE the sheep card! So adorable! Like how you used copics for the grass in the background. Wouldn't have thought of that myself! Sooo awesome Camster! I always love all the little details you add...such as embossing the word friend in the sentiment!! such a perfect touch! 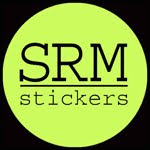 Ok we need videos on your backgrounds, your sheep and your flower, they are fantastic! Such wonderful cards you made with these sets. I especially love the incentive stamp you used on that card and how beautifully it is colored. 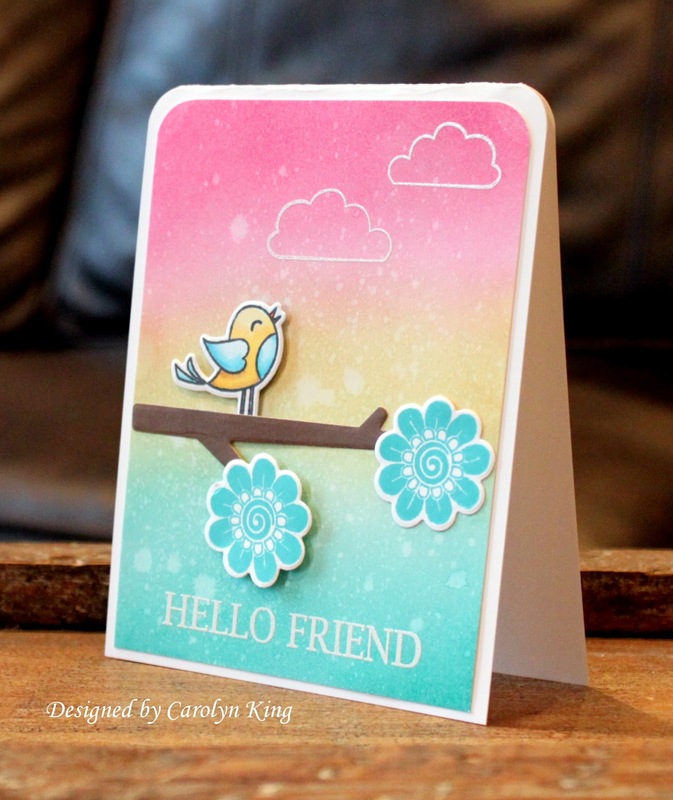 Fabulous cards and your coloring is so perfect! I love your cards! 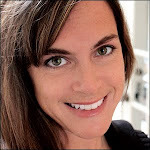 Glad you are designing for Gina K.
Lovely cards. Loved all of them. Thank you. Love the sheep card! Nicely done! Fabulous cards! Love the beautiful ink blending backgrounds you created! 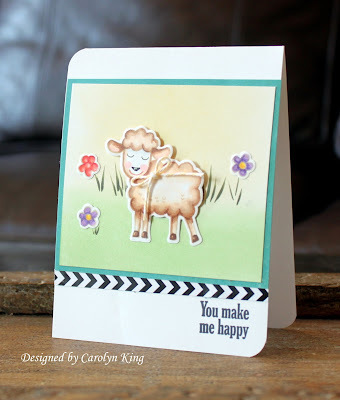 Love your cards layout and your coloring of the lamb so spot on! Love your cards, especially love the last one with the flower of course...but that lamb one is really cute too! Love your coloring of the sheep, and the incentive stamp card is so pretty. Fantastic inspiration. Love them!! That little lamb is just to cute. Love the little lamb.....and love all your cards! Beautiful cards. Thank you for sharing. So pretty. The bird and sheep are so cute and the flower is gorgeous! Wow your cards are amazing....I love that last flower one! Stunning! I love the flower card as my number one fav. Love the first two spring like cards and that flower is just gorgeous. Oh Wow I love that flower! But I also really love the spring colors. Than you. Love your use of patterned paper! Looks great! All great cards! The card made with the incentive stamp is so pretty. Wowzer girl! That flower is gorgeous! All your cards are so much fun. The lamb is so sweet and the flower off the charts!